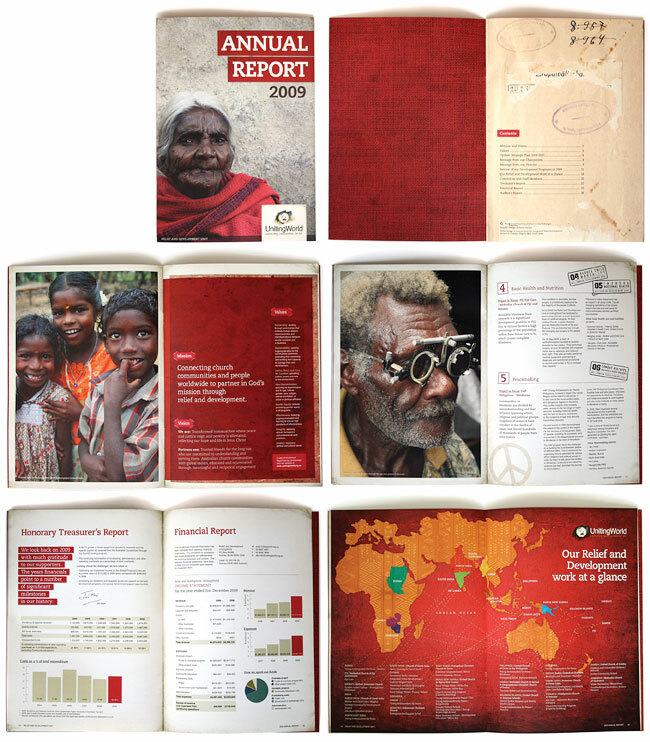 We recently completed and delivered UnitingWorld's 2009 Annual Report, and had so much positive feedback I thought I'd show it off here. Mei and Chantel both worked on this one, and it's come together as a beautiful piece we'll be proud to have in our portfolio. I particularly like the scanned stitching and the world map created with fabric.